Sites include options for guys and girls. Golf, Games and more! 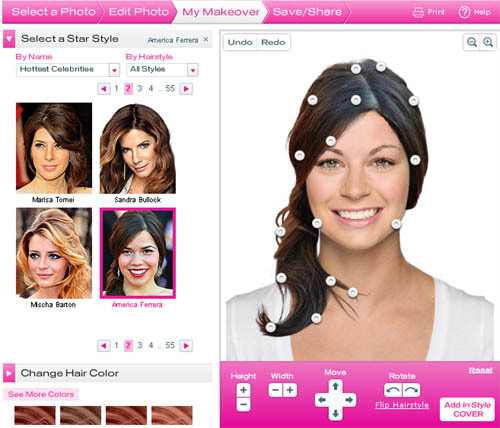 With Hollywood Hair Makeover, you can try on your favorite star styles and colors before you make a trip to the salon. Just upload your photo or choose a model and let the transformations begin. Print your favorite looks and e-mail them to friends. IMVU is a new way to hang out and have fun with your friends online. Just like an old-school text-based messenger, you download IMVU’s software onto your PC. But with IMVU you can create your own avatars who chat in animated 3D scenes. You can browse for new clothes, shoes, hairstyles, accessories, pets, furniture and more in the IMVU catalog. All the products are created by IMVU users and thousands of new items are added every day. You can watch your favorite videos right from your browser, anytime, for free. With full episodes of TV shows both current and classic, full-length movies, web originals, and clips of just about everything, Hulu is the place to watch and enjoy premium videos from the biggest names in entertainment. The World Golf Tour experience allows golf enthusiasts to play the world’s most challenging and exclusive courses through superior HD graphics on a PC or Mac platform for free, no download or software needed. WGT’s online community allows friends, families and golf fans to play a round of golf simultaneously, competing in tournaments for prizes, sharing scores, testing out the newest equipment and reading the latest news in the golfing world. 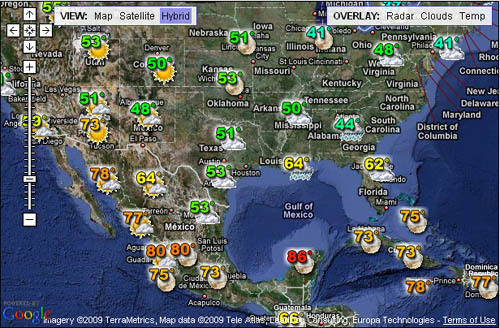 Weather Bonk is a mashup that lets you view real time weather information on a map. This can provide some very interesting information, particularly in areas with microclimates. The data comes from a combination of personal weather stations that are run from homes and schools as well as national weather services. Kinset is for those of us who like to shop. Stroll down an aisle with hundreds of items on display. Pause when something catches your eye. Browse and linger while discovering new things. That’s what real shopping is about, and that’s what makes Kinset the first online shopping that’s truly enjoyable. 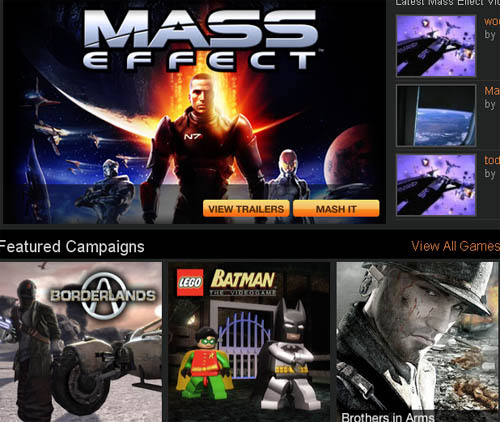 Mashade.com is the exclusive website for editing video game trailers and in-game footage. Why just watch your favorite video game trailers when you can mash them, mix them, and make them your very own? Once you have created your original masterpiece, share it with the world by posing it to your own website, blog and/or social network. 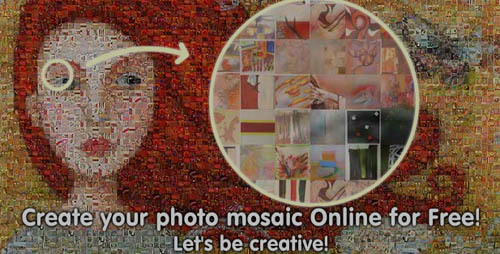 PicArtia helps you to create your photo mosaic online for free. It is popular for being fast, easy and free. Photo Mosaics are great gifts for friends, family members and even yours. Most of their users would print it in large size and use it as a poster for their office or room wall. Some users even use it in their blogs, websites or post it as an online gift to their friends on different occasions like school gatherings or birthdays.